The Tsar Cannon was made in the 16th century and for centuries was the largest in the world, until the British-made Mallet’s Mortar overtook it in 1857. However, it wasn’t designed to blow people up, but instead to symbolize Russia’s military power. Today it’s located in the heart of Moscow’s Kremlin. 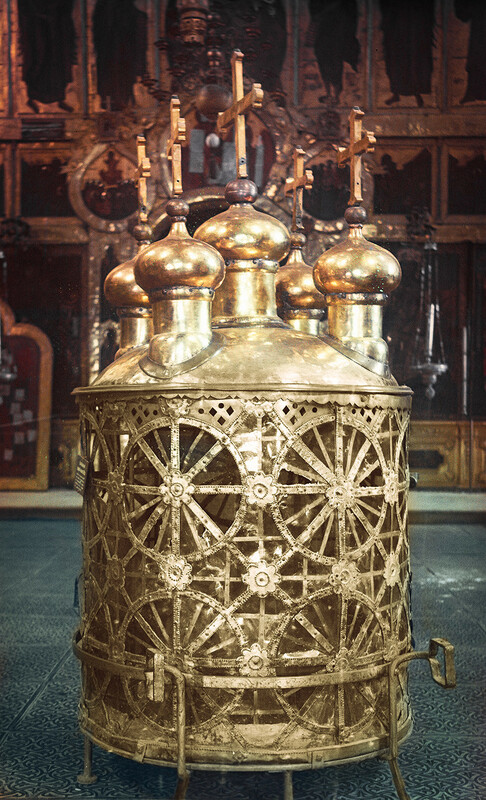 Made in the early 17th century, the two-meter tall Tsar Lantern’s design is based on Suzdal’s Cathedral of Nativity. It’s so heavy that in the past eight men were needed to carry it during sacred processions. Sadly, nobody ever heard this giant bell ring. 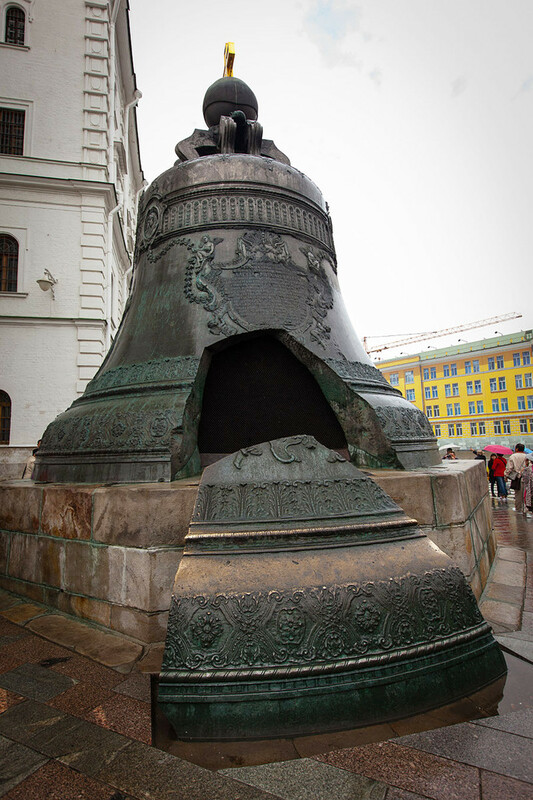 Six meters tall, the Tsar Bell was made on the order of Russian Empress Anna Ioannovna in 1730 to glorify her rule. 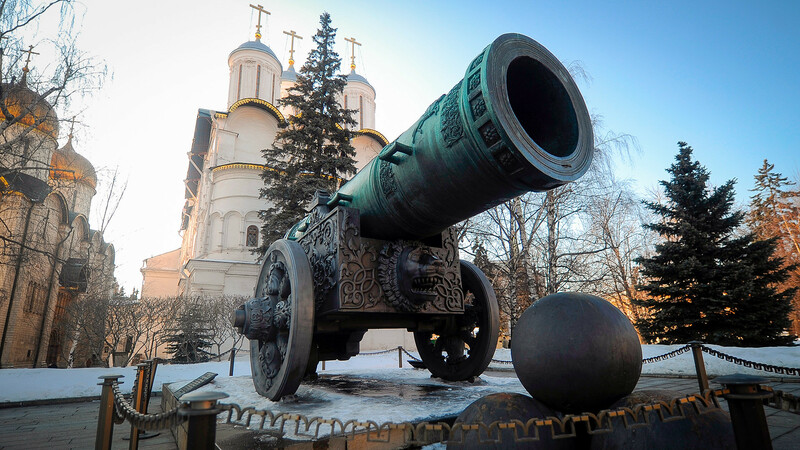 Like the Tsar Cannon it’s displayed in Moscow’s Kremlin but not in one piece - it was cracked during a fire. 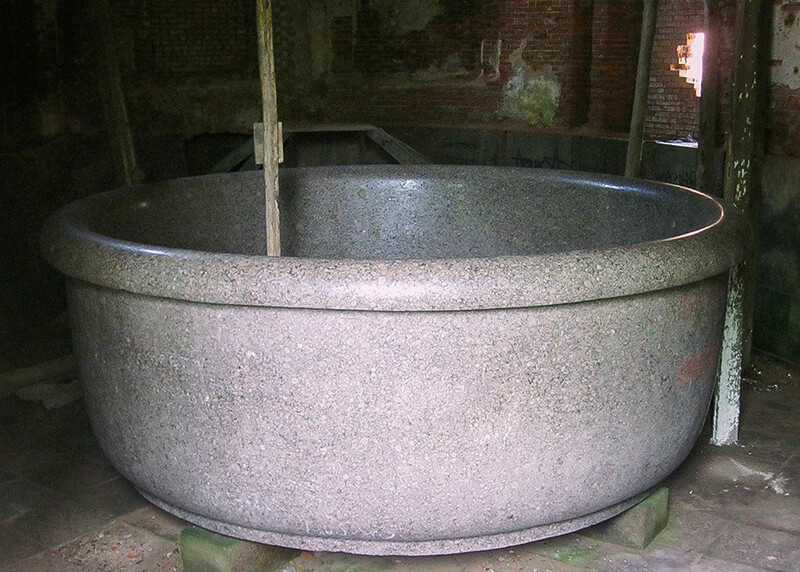 This giant granite bath is two meters high and five meters in diameter. Designed in the early 19th century, it’s never been used (no one knows why not) for its intended purpose. You can see it today in the half-ruined Babolovo Palace near St. Petersburg. 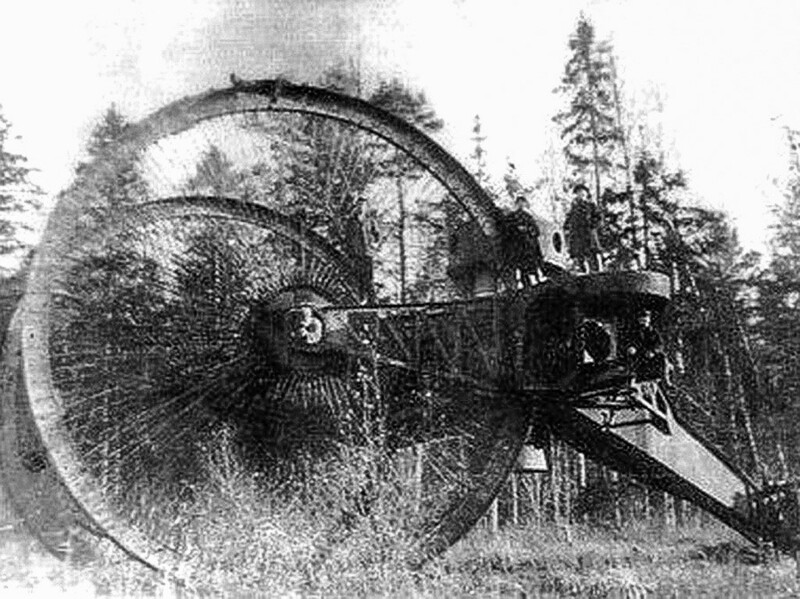 The Tsar Tank, aka “Mammoth,” was on course to become a Russian super weapon in WWI, although ultimately failed. Its giant wheels could crush trees like matchsticks, but they easily became stuck in the mud. The giant was left to rot in the forest and was dismantled for scrap metal in 1923. 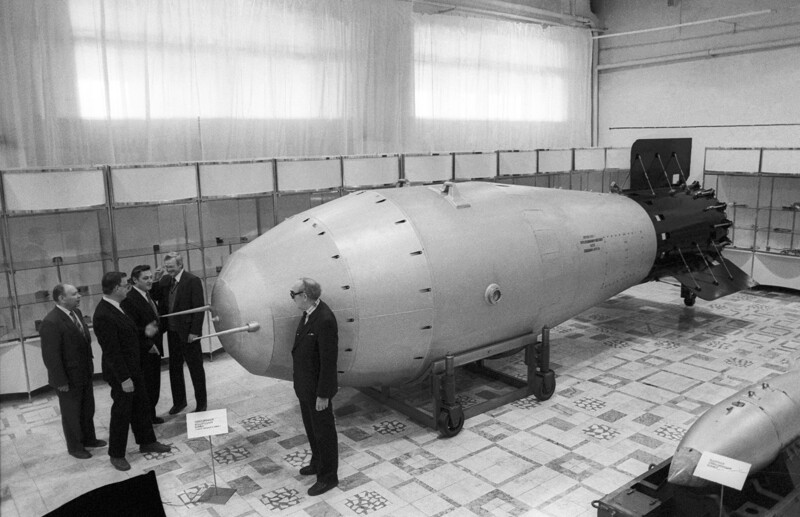 The most powerful nuclear weapon ever created, AN602 or Tsar Bomba was designed for one purpose - to show the U.S. that the Soviet Union was able to create a terrifying weapon of mass destruction. During the test blast in an archipelago in the Arctic Ocean, a 95-km mushroom cloud rose towards the heavens. Buildings within a radius stretching several hundred kilometers were either destroyed or heavily damaged. The massive explosion was even felt in settlements up to 1000 km from the epicenter. However, only one of these monsters was made - thank God. There’s an ancient tradition in Russia to make pancakes during the folk holiday of Maslenitsa in late winter. 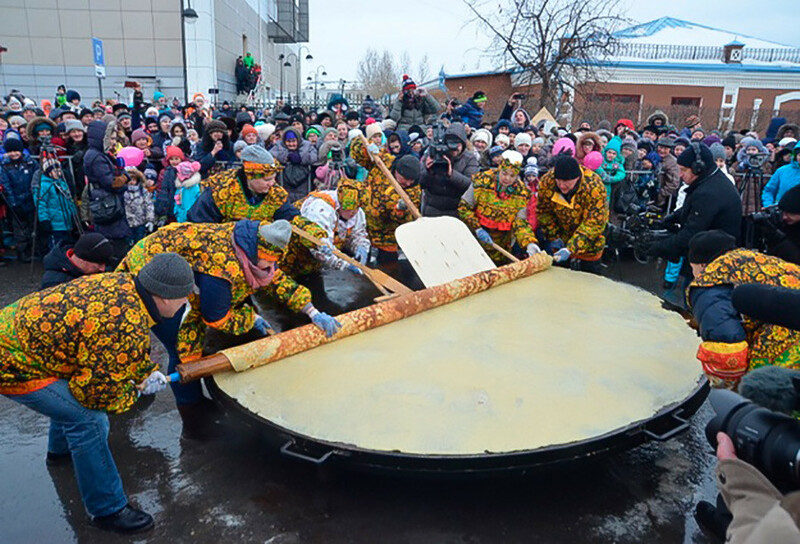 Citizens of the Siberian town of Yalutorovsk decided to write themselves into the history books by making the largest pancake ever. They try to repeat the feat every year, but something usually goes wrong: the pancake either splits or collapses.